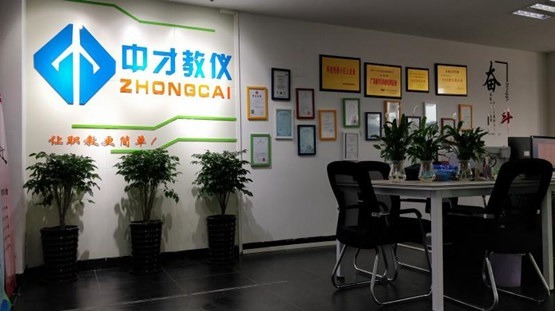 Guangdong Zhongcai Teaching Instrument Co., Ltd. is a high-tech enterprise specializing in R&D, production and sales of automotive professional teaching equipment products. The headquarters and R&D base are located in Huacheng District, Guangzhou City, Baiyun District. The company has strong technical and R&D capabilities and is recognized as a high-tech enterprise by the state. 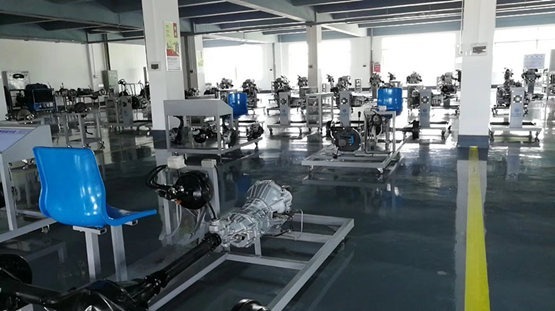 Since its inception, the company has always adhered to the talent-oriented, in good faith business principles, with strict management, advanced technology, reliable quality, and thoughtful service, to help China's automotive education cause. In response to the professional construction needs of universities and vocational colleges across the country, the company independently develops and produces a full range of automotive teaching and training equipment, including: engine training platform and teaching board series, automobile chassis training platform and teaching board series, automotive Electrical training platform and teaching board series, vehicle testing system, car teaching equipment rational integration system, automotive new energy training equipment, automotive anatomical model series products. The company has passed the GB/T29490-2013 intellectual property management system certification, ISO9001: 2000 product quality management system certification, ISO14001: 2004 environmental system certification, OHSAS18001 occupational health and safety management system certification and CE certification; the teaching equipment products developed by the company have obtained a number of invention patents and software copyright certificates; The company has won the recognition of the industry with integrity, strength and quality. With the customer as the core, the quality is in place, the service first-class business philosophy makes the company's future brighter. In August 2017, the Guangdong Radio and Television Economics and Education Channel "Guangdong New Style" column gave a special report to our company. Through the self-exploitation of Guangdong Zhongcai Teaching Instrument Co., Ltd., we strived to seek economic development enhancement while vigorously reporting in the news media. Under the promotion and promotion, our company's internal influence in the industry has gradually increased, and social awareness has also had a greater impact. Guangdong Zhongcai Teaching Instrument Co., Ltd. is advancing toward a healthy and orderly development of the economy.